Infinite Wishing Well continuously prints @infinitewishing's real time feed into an acrylic wishing well. 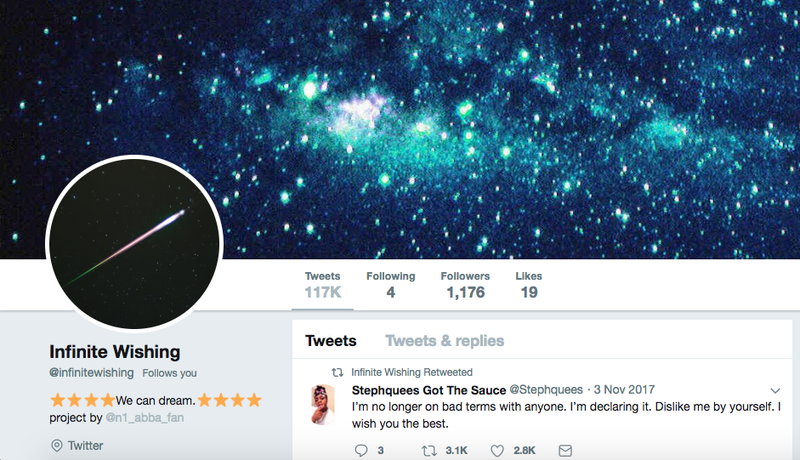 Infinite Wishing [@infinitewishing] is a twitter account that automatically retweets a randomly chosen post containing the phrase "I wish" every three minutes. It can be seen operating live here.